This comprehensive guide was created to answer some of the most common questions people have before buying SOLIDWORKS. The only way to buy SOLIDWORKS is through a certified reseller like Alignex. SOLIDWORKS products are sold worldwide through a large network of certified value-added resellers (VARs). 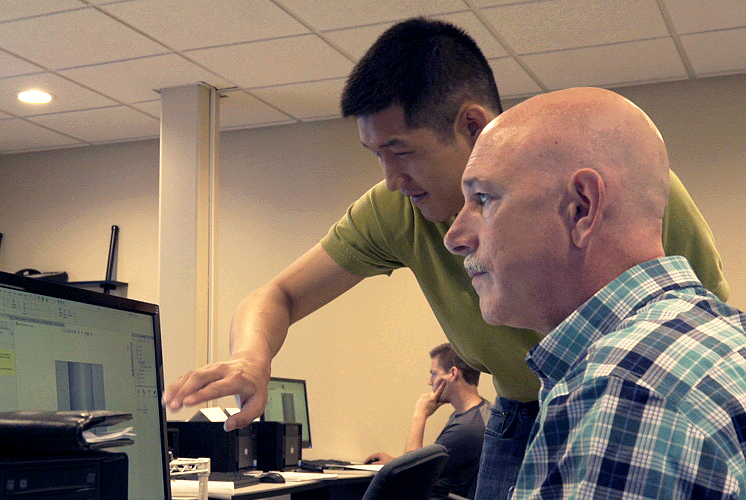 SOLIDWORKS resellers also provide additional services, product training and ongoing support. Alignex, Inc. is the VAR in the states of Minnesota, Iowa, Wisconsin, North Dakota, South Dakota, Nebraska, Colorado and Wyoming. Browse our office locations to find one near you. Interested in purchasing a 3D CAD solution, but not sure where to get started? We've outlined 5 recommended steps to point you in the right direction. The first step for many SOLIDWORKS buyers is research. Many types of resources are available to help you make the right decision for your company. Examples include whitepages, blog posts, ebooks, product matrices and videos like the ones available in our Resource Center. 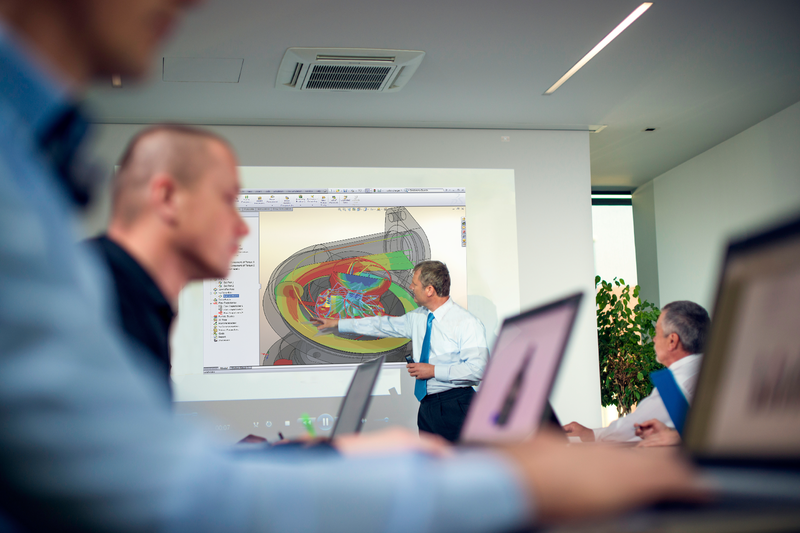 Many people investigating new 3D CAD software find that attending an educational event is helpful. You can also check out how well your computer gear matches up with the SOLIDWORKS hardware requirements. The next step is often to request a demonstration of the software by certified application engineers. This ensures that the features and functionality of match the requirements of the organization considering SOLIDWORKS products. Once you have confirmed for yourself that the tools will work in your environment the next step will be either a proposal or a quote that includes details of products to be purchased, all costs associated with the software, as well as any services recommended. From there, the next step will follow the procurement process inside your organization, often meaning your company will issue a purchase order. Once there is confirmation of your intent to purchase and you have arranged a payment method we order the software on your behalf. It usually takes SOLIDWORKS about 3 business days to process your order. After your order is completed we provide you with your serial numbers as well as additional information about getting started. We will also begin scheduling any services or training that were purchased. What is the Price of SOLIDWORKS? The basic SOLIDWORKS price has not changed since it was first released in 1996. One license is $3,995. The annual subscription service, which covers technical support, upgrades and much more for one year, is $1,295. SOLIDWORKS product licenses are offered in a tiered system of Standard, Professional and Premium. As you move up to professional and premium levels, you gain additional capabilities as well as additional license and support costs. Contact us to learn about the latest SOLIDWORKS promotions or download our SOLIDWORKS Price List (PDF) to get a comprehensive price list for SOLIDWORKS 2019 and compare features for the SOLIDWORKS Standard, Professional and Premium versions. How Does SOLIDWORKS Licensing Work? Before you buy SOLIDWORKS, here is an overview of the types of licenses that are offered to best suit your needs including commercial, academia, research and entrepreneurs/startups. 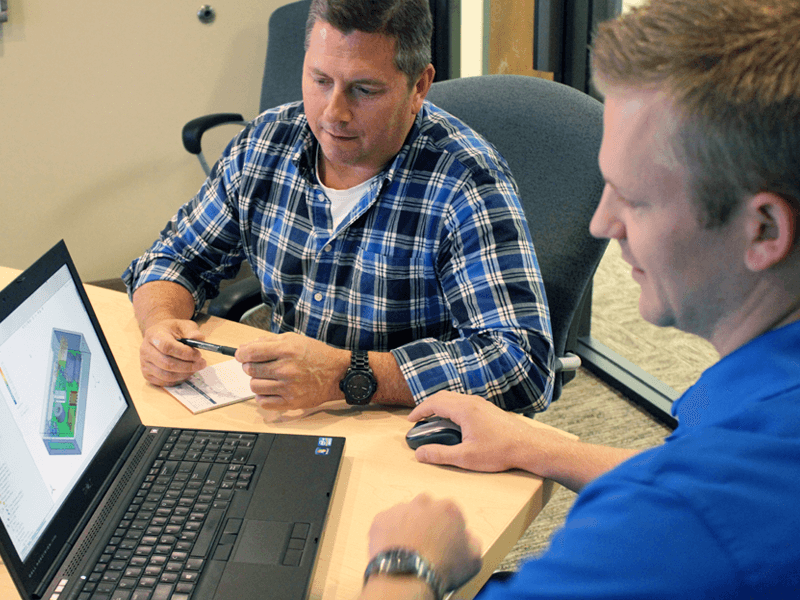 Contact a SOLIDWORKS sales expert to discuss your unique needs. Companies of all sizes need integrated solutions to help them innovate and grow their business. SOLIDWORKS products are easy-to-learn and use, and work together to help you design products better, faster, and more cost efficiently. SOLIDWORKS Education Edition offers schools the complete CAD teaching tool, featuring software, certification full curriculum and interactive courseware. The SOLIDWORKS Research Edition gives researchers the latest in engineering technology with no restrictions for use in publications, industry-funded projects, intellectual property transfer and patent applications. Plus there's no educational watermark - allowing you to clearly present your work. A yearly SOLIDWORKS Subscription includes support, upgrades, new versions, free certification exams, and free training to improve your performance and productivity with an intuitive 3D design experience, giving you a competitive advantage. You also receive free licenses for SOLIDWORKS VIsualize Standard and SOLIDWORKS CAM Standard, as well as access to MySolidWorks where you can view 600+ product tutorial videos. For a full list of the benefits included with a license on active subscription, click the button below. When you are ready to purchase, there are two different SOLIDWORKS licensing options that give you the ability to buy or rent SOLIDWORKS products. Those licensing types include term licenses and perpetual licenses. What is a SOLIDWORKS Term License? SOLIDWORKS term licenses offer a short-term commitment with flexibility to match your workload and expenses. They are available to rent in increments of 3 months or 1 year. Term licenses offer a considerably lower upfront initial investment that is often attractive to startups as well as to freelancers and moonlighters. For a full list of products available for term licensing and answers to some commonly asked questions, click the button below. What is a SOLIDWORKS Perpetual License? There are two different types of perpetual licenses to choose from: Standalone and SNL (SolidNetWork Licenses). A perpetual license is far and away the most popular option for SOLIDWORKS customers. A perpetual license, as the name implies, never expires and will run indefinitely. Perpetual licensing with subscription also offers the lowest total cost of ownership over the long term. Customers get the peace of mind knowing that the data and intellectual property that they create will always be accessible and available. SOLIDWORKS has no plans to retire or stop selling perpetual licenses. They understand that perpetual and term serve different needs, and there is no one-size-fits-all approach for licensing. This is very different from other vendors in the CAD industry like Autodesk and PTC that are eliminating perpetual licenses and are instead only offering term licenses that are more expensive in the long term. What is a SOLIDWORKS Perpetual Standalone License? Standalone licenses, as the name implies, are intended for an individual user of SOLIDWORKS or any related product such as Simulation, Composer or Electrical. It uses an Activate/Deactivate mechanism to entitle the software for use after installation, or to move a license entitlement to another device or to a new user at the same company while ensuring that just one license is being used at any one time. Activation is a one-time process which requires that you have internet or email access to complete the process. Once activated, you do not need to be online to use your software. What is a SOLIDWORKS Perpetual Floating License or SOLIDWORKS SNL License? SNL licenses (also called floating licenses) let you to stretch your investment across all your users. SNL relies on a utility that runs on a computer that is in the same network as the users. Any computer can be used – it just needs to be one all the time. Here’s how it works: when a user starts SOLIDWORKS or any related product or add-in, it checks to see if licenses are either in-use or available. Once a user closes their software, the license is immediately released back to the server for another person to use. Still Have Questions About Buying SOLIDWORKS? Fill out the form below and one of our experts will follow-up with you.